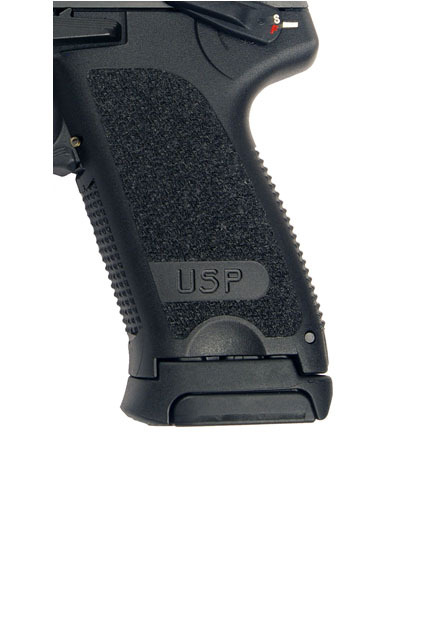 Converts the full size HK P30 9mm or .40S&W magazines to fit the HK USP Compact pistol. Increases the pistol's capacity to 15RD's in 9mm and 13RD's in .40S&W. No tools required for assembly. Slides over factory magazine and locks firmly against floorplate to fill in gap.